This was SJGR's 2nd or follow-up investigation of this Burlington County landmark. The Library Company of Burlington Free Library is housed in a building dating from 1864. However, the library and some of its collection dates back to 1758, the second oldest library in New Jersey and the seventh in the nation. Click HERE to see the results of our 1st investigation. 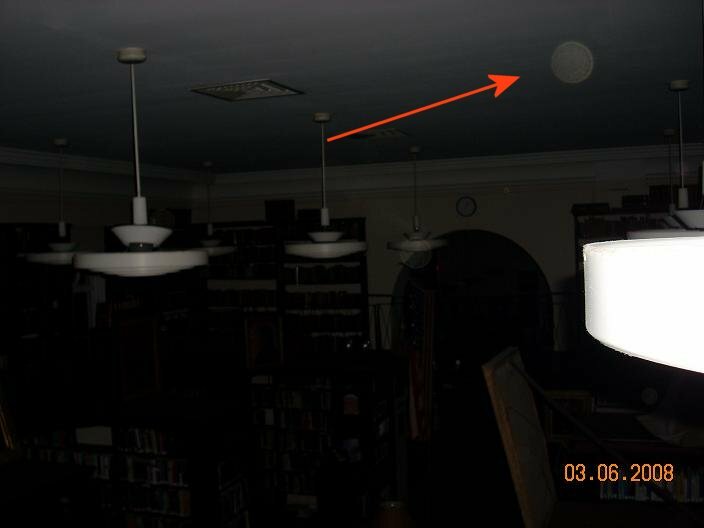 Approximately 6% of the photos taken during the investigation contained energy orb anomalies, which falls within the normal range of expected percentages, so they don't factor into the overall evidence. However, some photos correspond to events investigators were experiencing at the time the photo was taken. 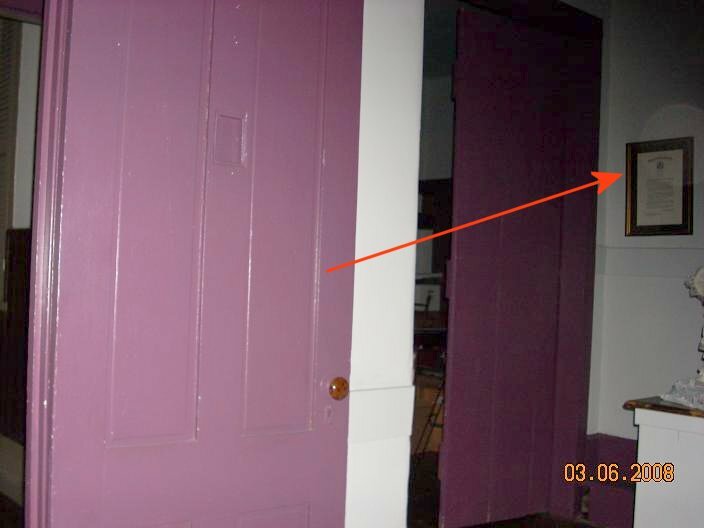 No positive anomalous EMF, temperature readings, or motion sensor readings were recorded during this investigation, and video equipment was not used. An above average amount of EVPs were obtained. 11:25pm - Investigator Flatt took this photo at random. 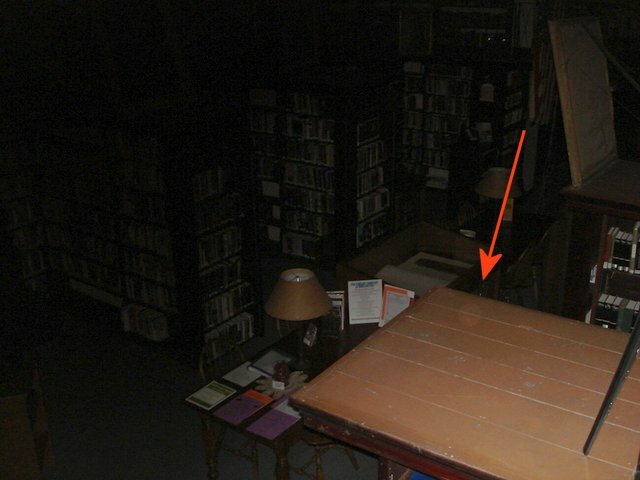 12:48am - Investigator Cook took this photo in the stacks after an investigator reported being touched by an unseen hand. 1:00am - Investigator Flatt took this photo at random.